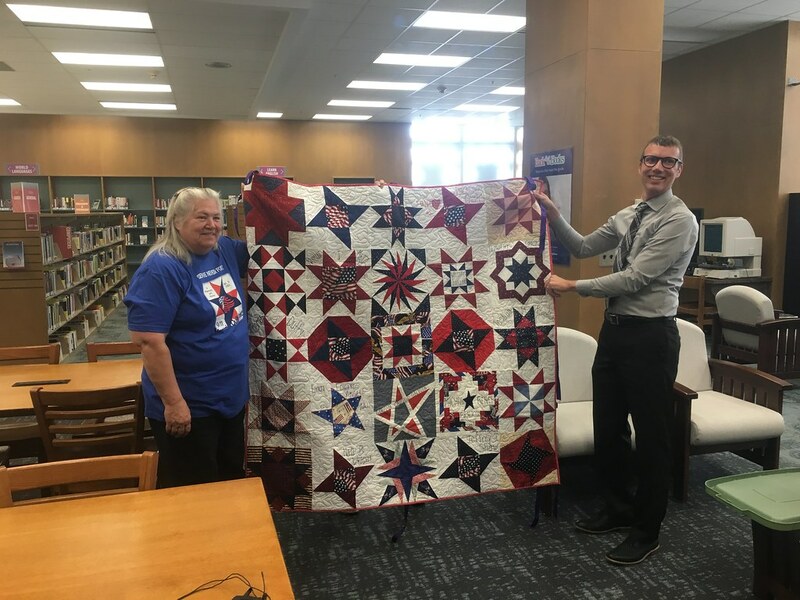 MERIDIAN TOWNSHIP - A quilt made up of over 300 individually designed and sewed sections memorializing those lost in the tragedy of 9/11 will be put on display in the Meridian Mall. The 9/11 - World Trade Center Memorial Quilt Project will be on display from September 8 through the 11. The idea for the 300 quilts was originally designed by Amy Sue Leasure of Prescott Valley, Ariz. However, Leasure passed away from cancer in 2002. The project was completed in 2004 and had its first showing on Sept. 11, 2004. "There's one quilt block that was made by a lady in Lansing, Jill, but we can't read her last name," Beverley Kuemin, Keeper of the Quilt said. "It's in panel 127, if Jill wants to come find it if she remembers making it!" The quilt will allow anyone who wishes to view it reflect on that day and never forget. There are also other quilts made to honor the first responders on the scene with one made for FDNY, NYPD and even service dogs whom lost their lives saving others.